Every year, I pore over my Christmas music looking to create the ultimate mix for that cocktail get-together with the neighborhood friends, the perfect in-car mix for shopping, the Christmas Eve Classical mellow-out of young children, and the anthem to which tiny feet run down the stairs Christmas morning. Yes, I’m a sucker for the holidays. 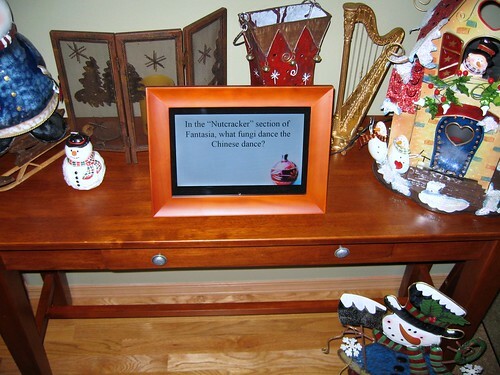 I also use my free time over the holidays to try and put digital media to good use around the home. This year, sharing photos of holidays past with family and friends takes center stage. To simplify transfer to my phone/PDA/Xbox/Media Center and call-up, I use the recently released Windows Live Photo Gallery to organize all of my holiday best pictures into a folder at the top. These are pictures I want to share during the party. This is easy to do and can be done with any one of your favorite photo apps, though I strongly recommend WL Photo Gallery – not because I work at MSFT but because it has some really great features like ability to upload directly to Flickr. 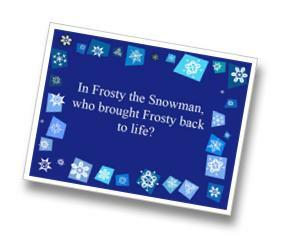 Step 2: Sprinkle in some Holiday Trivia This year, my wife gave me inspiration- why not create a series of Holiday trivia questions that are sprinkled in the pictures just like at the movie theater? I loved this idea and immediately set to work creating a solution that works for Xbox 360, Media Center, PCs, and Digital Picture Frames. It was the hit of our neighborhood Christmas get-together, so I’m offering it up to you here as well. I’ve created a set of 15 questions in the below pack and included the master images from the- all you have to do is unzip it, put the pictures in the same folder as your “Best of” collection. You’ll probably want to rename the files so as to mix them in sets with your own photos. The pictures are from the old Winter Fun Pack I did as a side project so many years ago for XP. Step 3: Assemble the Ultimate Christmas Mix This year we went a little upscale with a swank set of songs for the adults and a few favorites. Pretty much anyone can build a playlist these days. 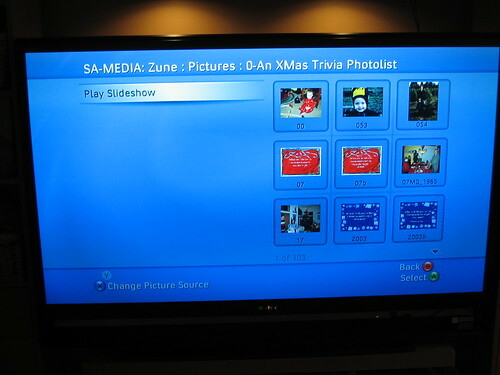 Step 4: Share it on the Big Screen with Xbox 360, PC, Media Center, Digital Picture Frame etc. 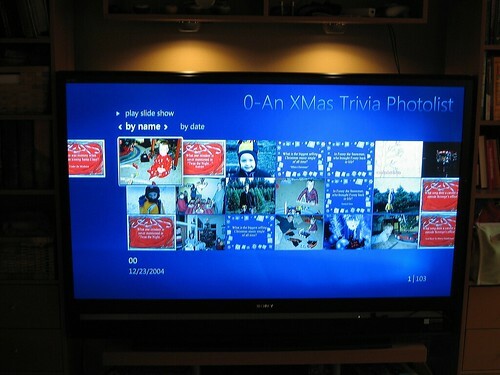 Play it on a digital picture frame Hope you enjoy- Merry Christmas and Happy Holidays from our family to yours.